A Wrought Iron Rose - This Picture captures a rose made out of wrought iron. This rose is part of a wrought iron railing of a circular stairway built by One World Builders. 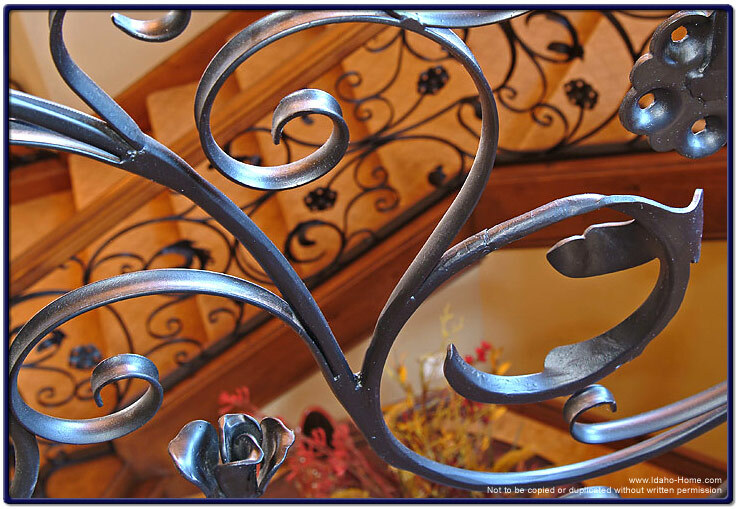 With wrought iron, many different designs can be captured to enhance the decor of not only a stairway, but to other areas of your home. The Spanish wrought iron rose has a detail that creates a decorative touch that only belongs in your home.